This volume is an homage to the glamorous, enigmatic Isabella Blow and her dramatic and doomed life. One of the world's leading creative women, credited with 'discovering' Alexander McQueen and Sophie Dahl, Isabella vitalized the fashion industry and her suicide in 2007 left it bereft. 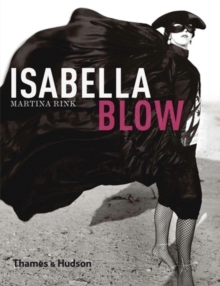 Martina Rink, former personal assistant to Isabella Blow, has brought together letters from all those who loved Isabella, from Mario Testino to Manolo Blahnik. The book has contributions by some of fashion's biggest names, with images from world class fashion photographers, illustrations by Hilary Knight and Paul Smith, a foreword by Philip Treacy and a transcript of the Memorial Speech Anna Wintour delivered at Isabella Blow's funeral in 2007.